Second periods. They can make or break teams if they are not careful. Teams often talk about their focus on starting out or finishing games strong. You don’t often hear teams emphasizing pushing the pace in the middle frame. Case in point: through the first 50 games of the season, second periods have not been a huge highlight for the Columbus Blue Jackets. Though they have a combined 590 shots in the middle 20 minutes – by far the most of any period – they only have 42 goals to show for their efforts. That’s a seven percent shooting percentage. There are only five teams in the entire league with fewer second-period goals, and all five are not in playoff positions. On the other hand, the Blue Jackets have surrendered 55 second-period goals – a minus-14 goal differential. In the past six weeks, the Blue Jackets surrendered four goals in the second period to the Vancouver Canucks (Jan. 12), Tampa Bay Lightning (Dec. 31) and Edmonton Oilers (Dec. 12). They also gave up three goals in the second period to the Ottawa Senators (Dec. 29) and Vegas Golden Knights (Jan. 23). 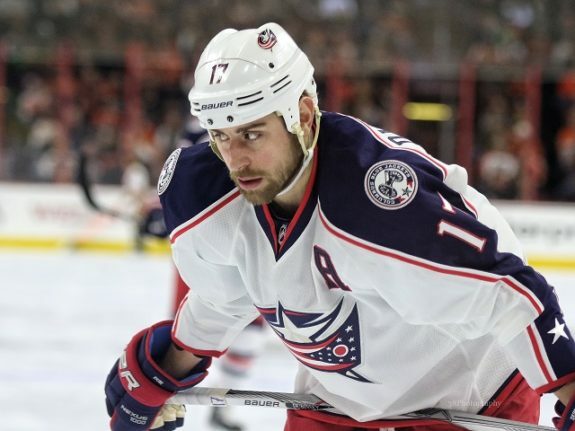 The Blue Jackets players and staff know this terrible trend needs to turn around, fast. So, what are some of the things the Blue Jackets can do to resolve this? “We need to have the same level of effort [all game],” Dubinsky said. “Don’t try to do too much or something that’s not your job. Just focus on your job and do it to the best you can. 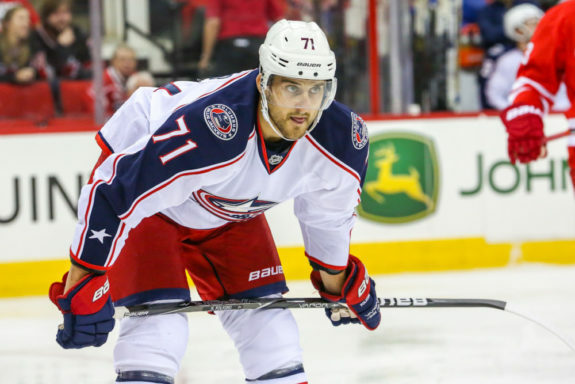 Blue Jackets captain and forward Nick Foligno knows second periods have hurt his team all season. It is something the team needs to resolve — fast. Foligno took used the Jan. 30 game as an example of the troubling trend they have shown all season. As Foligno said, when the Blue Jackets lose control of the middle frame, they often lose control of the entire game and cannot recover. That’s a major problem that brings back flashes of the 2015-16 season. The second-period slowdown is part of a bigger Blue Jackets issue — their inability to score. While goaltender Sergei Bobrovsky holds down the fort, for the most part, he receives little to no support from the skaters. Only the Ottawa Senators, Arizona Coyotes and Buffalo Sabres have fewer goals this season than the Blue Jackets, and they are the three worst teams in the standings. The Blue Jackets have also failed to score more than two goals in regulation in 11 of their last 12 games, and the one time they did, they lost 6-3 to the Golden Knights. Actually, the Blue Jackets have not won a game in regulation by scoring more than two goals since the team’s 4-2 victory over the Toronto Maple Leafs on Dec. 20. Not good. It all comes back to the second period. When the Blue Jackets fail to produce, or reduce the number of goals scored against them, for at least a full third or more of the game, it leads to big problems that cause them to fall in the standings. 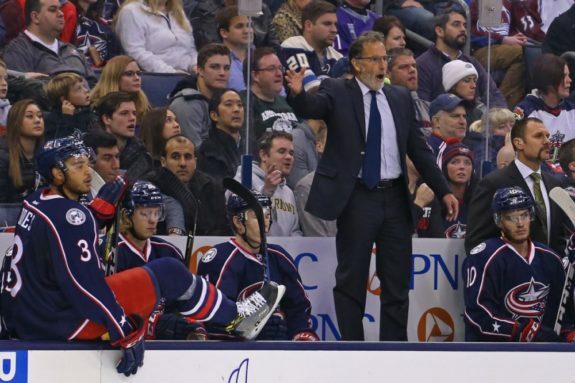 The Blue Jackets need to get out of their sleepy second-period mentality and find ways to score. Their playoff hopes depend on it.